The never ending debate between cyclists about what style of bike, single speed or multi geared, is the best for tackling the roads continues to rage into 2016. This is the first year where the best single speed bikes are starting to outperform many of their geared counterparts in my opinion, this is due to the influx of new single speed road bike models onto the market. Not only this, but I also feel like there is an awful lot more bikes on the roads overall and that this trend is only likely to continue into the near future. This spike of cycling interest is most definitely a consequence of the various health benefits that it affords riders, people are becoming increasingly conscious about keeping fit and healthy these days. Some people are cycling for leisure, some for pleasure and others purely for exercise or necessity. I think that it’s important to pay homage to the many benefits of both style of bikes before delving into the specifics of one or the other. Ultimately, either type of bike can be perfectly suited to you as it essentially almost always boils down to preference and what suits your individual requirements when you’re looking to purchase a new bike. There is a multitude of reasons for selecting a geared bike, and this is exactly the same for single speed riders out there – there is no one size fits all. For the remainder of this article I will be detailing what I specifically like about single speed bikes and outlining what my favorite models are too. Before I go into all of these details, I want to spend some time outlining all of the different forms of bikes out there. It’s important to do this because there is a clear gap in knowledge in the public whereby people simply do not know the intricacies between certain styles of bicycle. 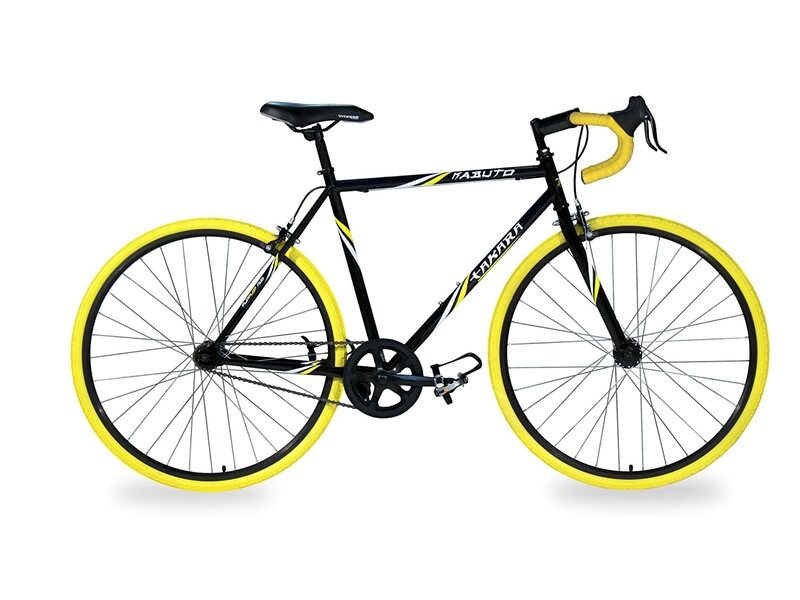 It’s difficult to know what sets a fixed gear bike apart from a single speed version by simply glancing at it, however there are definite differences that change the performance in certain scenarios considerably. Most biking enthusiasts will be well aware of these differences and if you fall into this bracket then you may want to skip ahead of this section. However, if not then I think that it is key for you to understand that different experiences offered by each of these styles of bikes so you can select the perfect model for you. Single speed bikes are frequently used by people who are intent on cycling relatively short distances without facing any sort of challenging terrain, they are in many situations ideal commuter bikes. Single speed bicycles have, as you would have guessed, only a solitary gear on their rear drivetrain. It is as a result of this that they are best suited to flat ground and a sturdy road surface. Single speed bikes are very easy for people to maintain and they will remain durable over an extremely long time if you take care of them. This is due to the fact that single speed bikes are created without the utilization of any sort of front or rear derailleur or gearing hub, furthermore they don’t have any cabling that could potentially be getting in your way. As you can see, due to the lack of all of these various components there is substantially less to maintain on the bike. To add to this, removing all of these parts also drops the weight of these bikes considerably and as a result some single speed bikes are some of the most lightweight models around. What’s more? The best single speed bikes are some of the most efficient models out there, the majority of the energy put into pushing the pedals round is directly transferred into driving the bike forward, this is exactly what you want when you’re on the road. 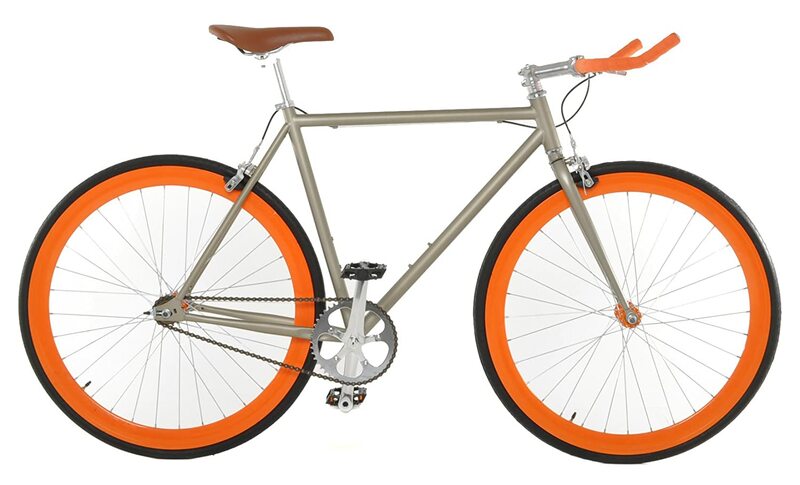 Single speed bikes provide riders with a truly smooth ride that essentially facilitates long and comfortable rides. All in all, single speed bikes remove all of the potential complications of a traditional bike and leaves riders with a smart, efficient and truly comfortable ride for their daily rides. Without a shadow of a doubt, the Critical Cycles single speed bike is my favorite single speed model around today, handmade by the true professionals over at Critical Cycles, it is hard to bemoan this stunning model. You can get your hands on it in a selection of stunning colors and there is a lot of customization available too, this is perfect for amateurs and enthusiasts alike. All of the components utilized by Critical Cycles are of the highest standard and will not disappoint even the most seasoned riders out there, an example of some of the premium brand components used are Kenda and KMC. Vilano is a brand that needs no announcement on the world stage today, they are a true behemoth in the road biking scene and have been producing truly astonishing bikes (folding and road versions) for many, many years now. The Vilano Edge is another example of why they perpetually find themselves among some of the best brands out there in recent years. The Vilano Edge is a 700c single speed bike that performs extremely well on the road due to its revolutionary flip-flop hub and tig welded frame. Much alike the Vilano Edge, the Rampage is another gorgeous single speed bike on offer by Vilano. You can get your hands on this stunning model for a very small price tag and will not be disappointed whatsoever, expect high quality components, little resistance on the road and the capacity to reach incredibly high top speeds. Vilano have done a truly outstanding job this time around and we believe you will love the Rampage. If you like to stand out among all the other riders on the road, then the Takara Kabuto single speed bike might be the quintessential model for you. However, it would not be doing the bike justice to simply talk about its stunning aesthetics, the Kabuto is capable of competing with the best bikes out there and when you can pick one up for such a small fee, it’s hard to not take a second look at it. Takara have done a fantastic job of ensuring that the Kabuto weighs in at only 30 pounds and so it really does fly down the roads. Multi speed bicycles are exactly what you would expect, they have multiple gear speeds that facilitate the traversing of slightly more complicated and diverse terrain than their single speed counterparts. These bikes are traditionally fastened with the capacity to rapidly shift through gears using front and rear derailleurs in combination with a spring loaded arm and commonly a pair of gear shifters. Without a doubt, multi speed bikes are the most common bikes that you will see on the road, there is also an extremely diverse array of available models here in various shapes and styles too. Multi speed bikes perform well in a number of different scenarios, however none more so than on steep or even mountainous terrain. In these environments they are without a doubt the preferred and in many people’s eyes, the only form of potential bicycle. Possessing a number of gears enables riders to easily traverse hills, or at least at a far higher efficiency than if there was only a single gear. These bikes generally do not last quite as long as their single speed counterparts, nor are they as efficient as them on flat ground – but they are perfectly suitable in various other examples. 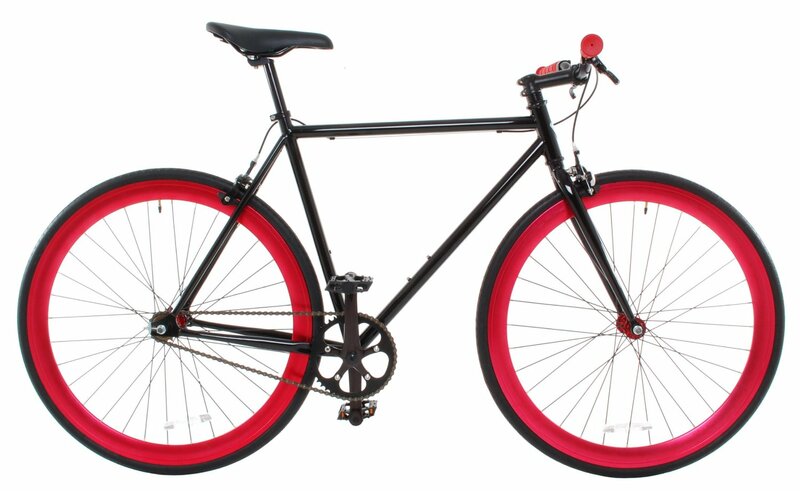 Fixed gear bicycles, which are also known as fixies, are actually somewhat of a subset of single speed bikes. However, intricate differences between these two forms of bikes have led to them being classified in their own distinct category of bike. 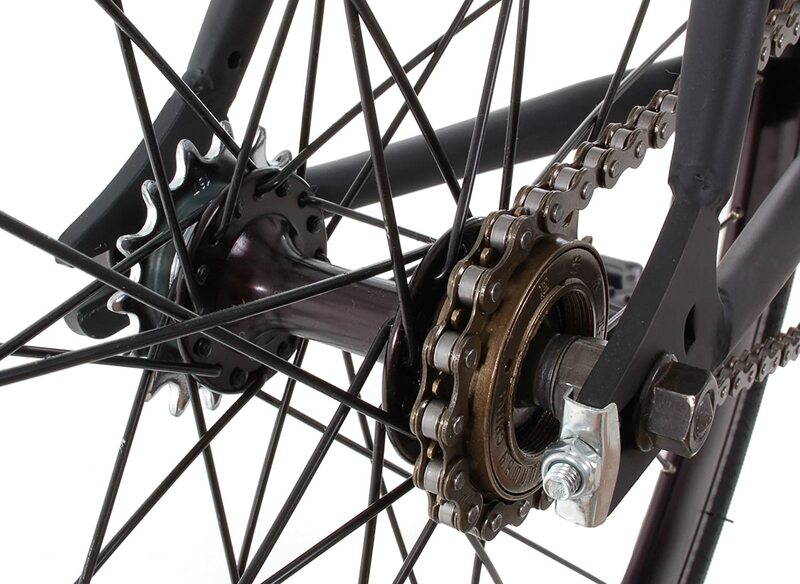 Fixed gear bikes, like single speed and multi speed bikes, also have a drivetrain that facilitates the transfer of energy from the pedals to the road. However, these bikes do not have the capacity to freewheel when they are in motion like the two previously mentioned bike types. Without this mechanism riders are unable to coast down hills or on flat ground, they must continually pedal to maintain their momentum and so more energy is typically spent on these forms of bikes. Fixed gear bikes also usually only have one functional braking mechanism and one braking lever too, this is almost always the front brake as opposed to the rear. 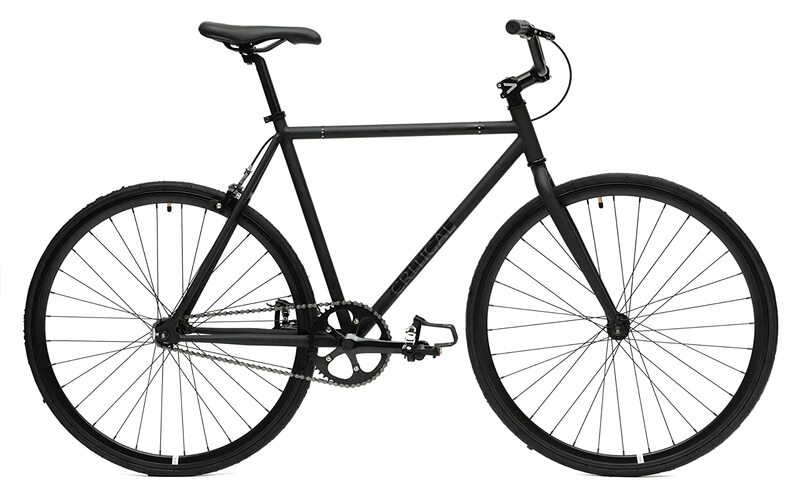 Fixed gear bikes are usually only ridden by people throughout urban towns, suburbs and cities – they are rarely found in more hilly terrain because they ultimately do not perform too well here.